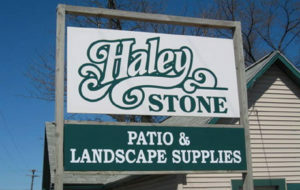 If you are in need of a top rated Michigan Stone Veneer supply, please visit Haley Stone in Auburn Hills MI (248) 276-9300 or Rochester Hills MI (248) 852-5511 to browse our large selection. Click here to see photos of our stone veneers or Follow Us on Facebook for our Auburn Hills or Rochester Hills locations! Stone veneer has become increasingly popular in residential applications for a variety of reasons. Now that the process of making the product has improved to the point where it can be difficult to differentiate between veneer and the real thing, more and more consumers are willing to incorporate this product into their designs. Good brands don’t look cheap or fake – they just look great. If you are considering using stone veneer in an upcoming project, check out the following list of advantages that come with this product. Seen above is an example of our beautiful stone veneer in action at a customers home! This is always a popular advantage to find with any product, and stone veneer can certainly save you money over the cost of purchasing actual stone. 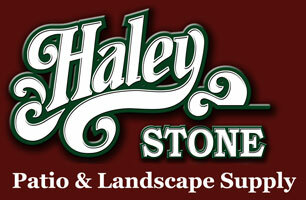 Not only are real stones more expensive than stone veneer, but since they are heavy, they also cost more to ship. If you would like to keep the overall cost of your project down – and who wouldn’t – taking a close look at stone veneer is a smart idea. There are only certain materials onto which real stone can be applied, but stone veneer can be installed on nearly any surface that will be found in or around your home. For example, if you are going to be covering surfaces like wood, cement, brick, metal, and more, you will have no trouble with stone veneer where you might have a major compatibility problem with actual stone products. Have you ever tried to install a natural stone on a curved surface? Of course not – because that would be an impossible task. It is very much possible, however, to do the same thing with stone veneer. Putting stone veneer in place on a less-than-level surface is something that can be done by an experienced installed with the help of some basic tools. When you want to clean your veneer, the job is as easy as wiping it down with standard cleaners. You do not have to buy any special products in order to clean the veneer, and it is an easier surface to restore than an actual stone which will include many little nooks and crannies. 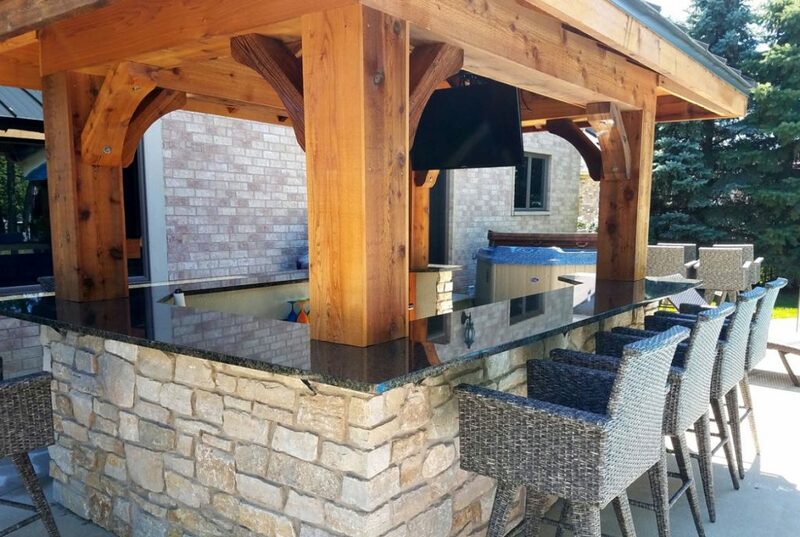 Pictured above are some of our stone veneer in action on this beautiful outdoor bar! 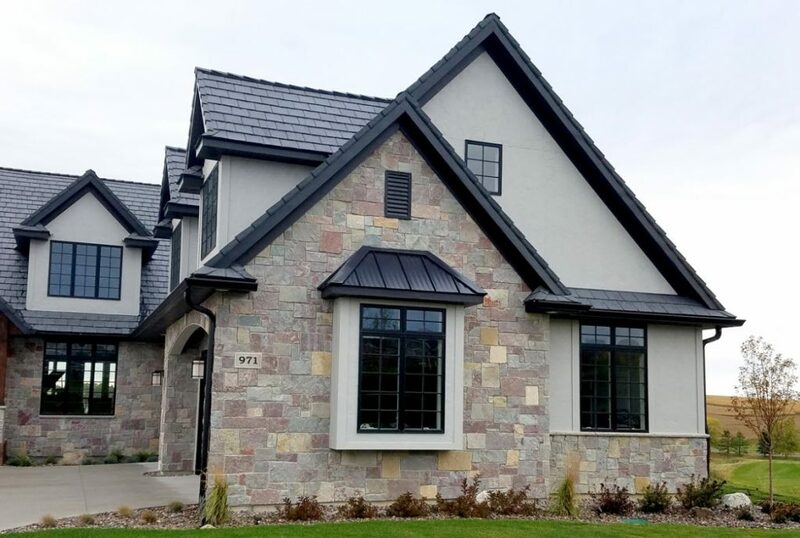 Since your stone veneer will be made from hard and durable materials, you should be able to expect to get a long lifespan from this product after it has been installed correctly. There certainly don’t want to have to repeat your renovation or construction process anytime soon, and you shouldn’t need to thanks to the durability of stone veneer. This point was alluded to earlier, but it is worth highlighting on its own. Since stone veneer is considerably lighter than actual stone, the installation process is easier – as is the transportation process necessary to get the product to your property. This will save money, but it will also save time and hassle during the project. When picking between actual stone and stone veneer, there are a lot of positives that fall in the veneer category. Of course natural stone is beautiful, but many of the realities of working with that material make it far less appealing when the time comes to actually complete a project. On the other hand, stone veneer offers a great look and easy installation process for a lower overall cost. For those reasons, you would be smart to at least consider going the veneer route for your upcoming job. 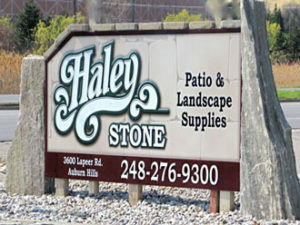 For an experienced and trusted Michigan Stone Veneer supply, please stop by Haley Stone in Auburn Hills MI (248) 276-9300 or Rochester Hills MI (248) 852-5511 and see our large selection of stone veneer!